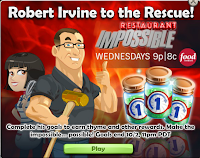 Starting from now until October 2nd 11PM Pacific Daylight Time, you will be able to complete a series of 6 goals with Robert Irvine (Host of Food Network's Restaurant Impossible). 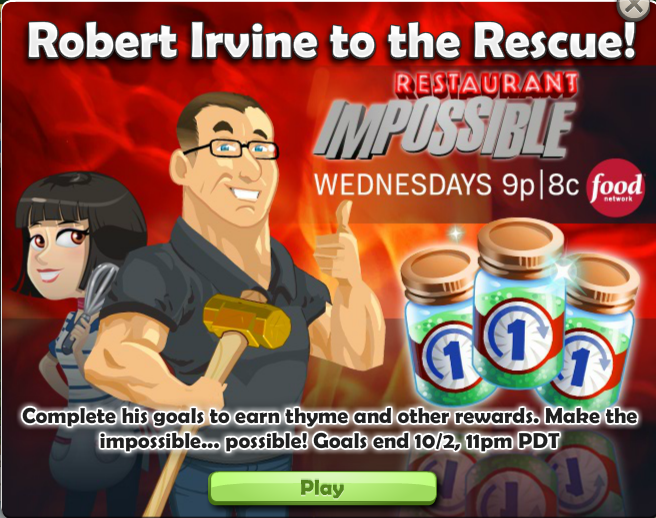 Start his goals and you will earn Spices, Limited Edition Robert Irvine Decor and much more! 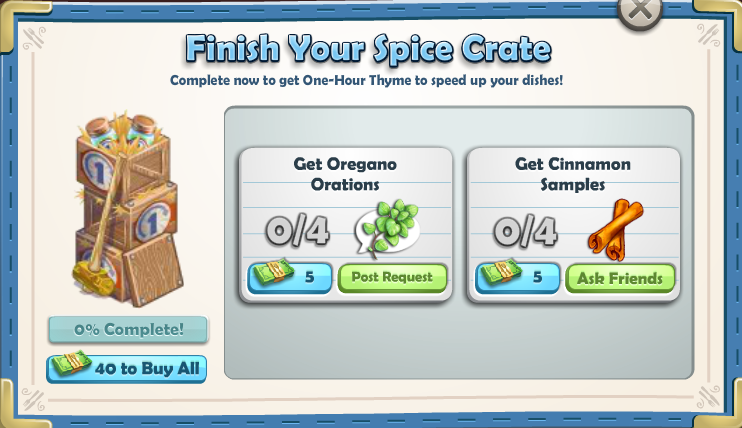 The first goal you will have to complete is Thyme for Spice. Simply place down the Spice Crate somewhere in your restaurant (It will look like an unopened package). Click on the green "Show Me" button if you are confused. Next you must finish the Spice Crate. This will require you to get 4x Oregano Orations and 4x Cinnamon Samples. To get these ingredients you must click "Post Request" then click "Share". Your friends will then have to click the link on your Facebook wall in order for them to give you these items. You can also just buy the ingredients if you have some ChefVille Cash. However, if you don't have any Cash you will have to buy some with real money. I would recommend you get these items from friends instead. After you have finished the Spice Crate you must then give 6 tomatoes to Robert Irvine. Just harvest these from your garden outside. They only take 2 minutes to harvest, so getting 6 tomatoes should be no problem. Finally you must use a One-Hour Thyme on one of your dishes. Just cook a meal then click on the meal again when you see the timer on it. It will then ask you if you want to use a One-Hour Thyme on the dish. Check out the Free Page for a link for free One-Hour Thyme. Prize Level 3 of the Community Table was a One-Hour Thyme. Hope this helped! 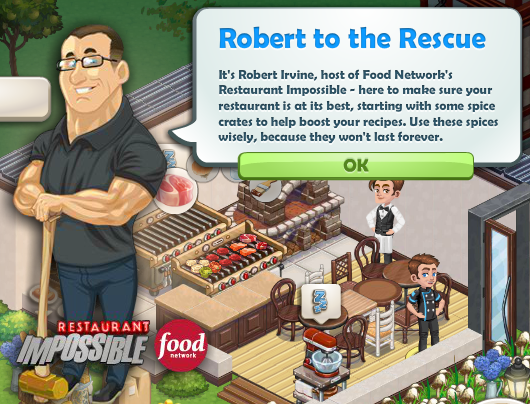 Please comment below if you feel there is anything else important to note about Robert Irvine's Goals in ChefVille. Thanks For Reading!